industry in mainland china, Clamptek devotes great energy to research and development, and the clients’ demands has actually led the way for Clamptek. Clamptek not only imported the developed products from abroad, but strives to develop new products with intellectual property right. 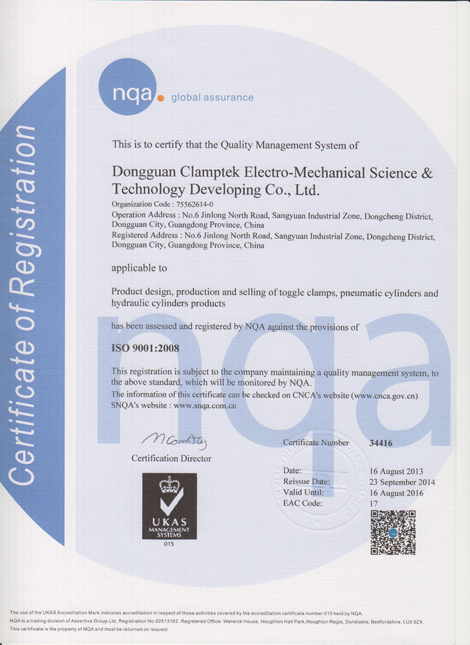 After years of researches and development, Clamptek has won market recognition and many patents. In the future, Clamptek will devote more time and energy to R&D, hoping to provide better product options for the market, to bring growing profit for the company, to contribute for the society and to benefit and share with employees.